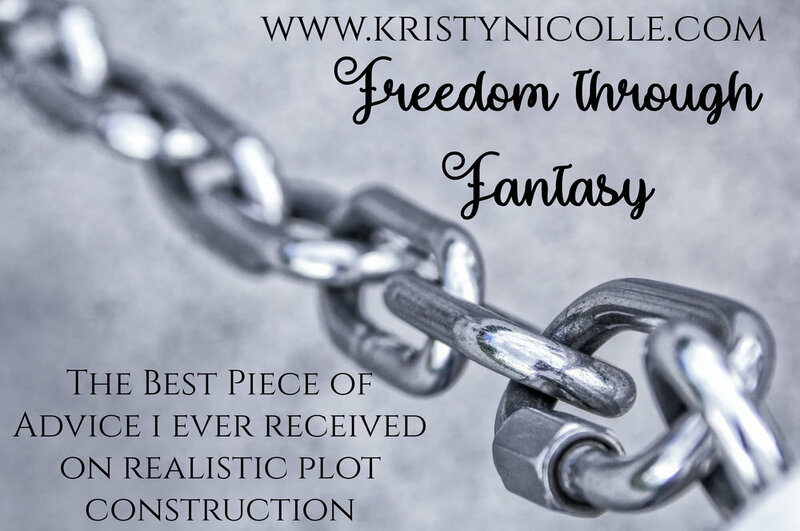 The best piece of advice I ever received on realistic plot construction. Plot construction seems to be one of the great mysteries of that creature we call the writer. Where did it come from? How did they create such a complicated storyline and still manage to tie it all up in a neat little bow within only 300 pages? Well, I can’t speak for all writers, but I can tell you what works for me. If you’re familiar with my work, you know I plot on a BIG scale. I mean BIG. Like a series of over 70 interconnecting stories big. It’s something I would have laughed myself silly over if you’d have told me I was attempting it only 3 years ago, but now, I’ve embraced the crazy and here we are. Throughout academic history I suppose there have been arguments which come at this from every single angle, fighting over which is most important. The setting? The lore? The plot itself? The characters? History? Well, as a first-person writer, I can tell you that for me the story is born and dies with the characters. The best piece of advice on writing I was ever given, was indirectly from another author. Scott Westerfeld, one of my favourite writers, did this awesome little book called Afterworlds. In it, he explores not only the life of a young writer protagonist trying to make a go of it in the big city, but also gives us a window into her work. We experience the two worlds, that of the writer and that of her fictional main character, in parallel, which as a writer myself I found enthralling. What we can see in terms of character construction (not plot construction- I’ll get to that in a moment), upon looking at both sides of this artistic equation, is that what formed the writer, also influences how the character is formed. If we are aware of this as authors, it is something we can choose to either facilitate, or resist. It also acts as a way to highlight which factors realistically bias psychology within fictional characters. Identifying the root causes of certain traits early on in development of characters, I think, is one of the ways in which the author can go the extra mile in making a character both realistic and relatable. With regard to plot construction, what I took away from this novel is that everything about how events unfold within a story boils down to who the character is psychologically. You can have as many external factors as you like steering your character in one direction, but if the reader can’t understand why they continue chewing at the bit, fighting the big bad, searching for the holy grail etc. you’re not going to come off as realistic. The thing about characters is that even though you can never create a lead who will fit every reader, they at least have to be able to understand (but not always sympathise with) why the character acts the way they do. Why they want what they want. Motivation is a big thing for a main character, especially if you’re writing a genre like fantasy where so often the story takes said character into a place which pushes their personal and physical limits. It’s human nature, the majority of the time anyhow, to take the easy route, the quickest and least painful way through a situation, so why is your character putting themselves through this epic quest, this enormous battle? What reason is important enough for them to make the journey from plot point A to plot point B. The why of it, for me, always comes from backstory. Personal history, how we are raised, what we have seen, where we have been, the culture which surrounds us, how we are educated, what we view as a successful/ideal life, even our religious and ethical standpoints are just some of the many things that make real people who they are, so these are the exact things you need to be creating for your characters. Take one of my characters for example- the lead female protagonist in my first mermaid novel- The Kiss That Killed Me- Callie Pierce. She’s stubborn and has a real thing about letting a man tell her what to do. This makes sense when we look at her past- why? Because her mother has been in an oppressive/ borderline abusive marriage and watching this as an outsider has made her fearful she will end up the same. This also makes sense when we look at her past- why? Because her father left without warning or explanation and never came back. These events are what form a person, especially in their younger years, so it is important for every step of the plot when thinking about HOW a character gets from one scene to the next, that more important to their being realistic is WHY they feel driven/motivated to move from scene to scene. Once you have these backstories, these motivations for a multitude of characters, you will start to see clashes between them, the way they perceive things, what they believe. Perhaps you might even put in polar opposites or similar personalities on purpose. This in a story is where you can start having a little fun, working out who will betray who, who will end up sleeping with who, who ends up finally beating Haedes at Candy Crush etc. but the most important thing to remember is to always have a reason behind everything. Once you know the reason, for me at least, the story starts to tell itself. It’s kind of like that moment you see two people enter the room at a party. You know each of them separately, and so can accurately predict, in the moment you see them lock eyes, whether they’ll be spending the night trying to beat one another to a pulp or singing Christmas carols while wrapped in one another’s arms. This kind of intuition is exactly the kind of thing you should find with your characters, so my advice off the back of this is to know them as well as you can, and if you don’t, ask questions and get to know them better! When people start plotting for the first time, they always ask how, but from my point of view, and especially in the case of fantasy fiction, the key question isn’t how, but why.